Bangalore, Aug 22 : Exactly a year ago, on August 15, 2012, northeasterners started leaving Bangalore in droves after bulk SMSes threatened their safety. An estimated 30,000 boarded whatever trains they could jump on to, and headed home. Says Linus Kamei, then president of the Naga Students' UNION: "It was as if all hell had broken loose. Everyone was worried and even though the Karnataka and northeastern governments reassured safety, nothing mattered." Many have returned to Bangalore since. Edmund Zhimomi, 21, had always considered Bangalore his home and it was pressure from his family that forced him to return to his home state, leaving his course. Although his family wanted him to stay back, he finally decided to get back to his studies. "Being in Bangalore was one of the best things to have happened to me and I was not ready to give it at any cost," said Zhimomi. Students seem to have got back to their routine. "We are back to status quo. 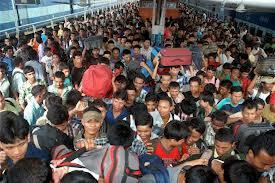 In fact, within months of the exodus, most northeastern students who had left Bangalore returned. Even this year we have not seen any drop in admissions by students of the northeast," said Johnson Rajkumar, assistant professor, department of communication, St Joseph's College. Lawrence Liang, a lawyer with the Alternative Law Forum, said they ran a helpline during and after the exodus. "Till the exodus happened, no one had a clear picture of how many people, and from which states, were working in Bangalore. To say everyone has returned is incorrect. Many people said they would stay back in their home states with whatever they have than struggle in distant lands." Commercial establishments say their employees have returned. Employment opportunities in a city like Bangalore remain lucrative. But there are exceptions like Vinod Sharma, who runs a Tibetan restaurant near Koramangala. He had to hire a new set of employees after the exodus. "I had three men, all from Manipur, working for me, but they packed and left. My attempts to contact them never succeeded, I had to hire new employees."